Luckily for us though, once he brought himself to read the book, he found that everything his friend had said was true; more, that he identified with the story on a personal level that was in some ways unexpected: ‘It’s very true and very sincere, and also the very unsentimental touch of it – sentimentality is something very tricky, especially on film, because if you push it too hard in the face of the audience, it’s not sentimental, it gets sticky, it’s too much. But if you have a very unsentimental approach, it gets sentimental on another level, in the eyes of the audience. And it had that quality. It was extremely sentimental, without being sentimental; that was one of the strongest parts of the story. Alfredson, in London to talk about the film (which opened here on Friday), has been propelled into the global spotlight by the success of Let The Right One In, which has been universally heralded as a new classic. (The film is currently scored 98% fresh on rottentomatoes.com.) The story of a lonely suburban latchkey kid, 12-year old Oskar (Kåre Hedebrant), who makes friends with Eli (Lina Leandersson), his new neighbour. Who only comes out at night, needs no coat or shoes in the middle of the Swedish winter, and admits to having been 12 ‘for a long time’. The film has trappings of horror, but is also a romance, a coming-of-age story, a school story…it’s impossible to pigeonhole. 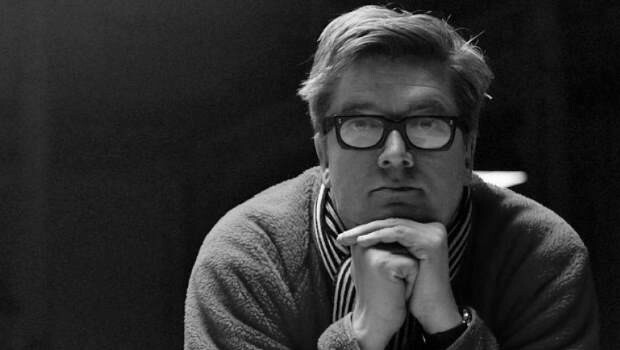 Sweden has no real horror tradition, as Alfredson explains: ‘I am very uneducated in horror films. I really try not to have too much relations with other films when I make films. I see a lot of films but just as a normal movie-goer, and I try to inspire myself through other artforms than film. Sweden – we have Bergman, but we have no real tradition of horror. For me it wasn’t a horror film or a genre film. The usual thing when you work with a successful book is that you try to get a little bit of everything into the film so that no one will be disappointed but it usually turns out to be a lot of nothing – too little. Too much of too little. So at a very early stage we decided to cut out the fillet – to concentrate on the love story between the boy and the vampire. It’s narrated through Oskar’s eyes now, while the book has a lot of parallel tracks. One of the difficulties of adapting a well-known story is finding actors who fit the descriptions of the characters in the novel. The book Oskar, for instance, is overweight and incontinent; the actor who plays him is by contrast is positively angelic. ‘I try to when casting not to have too specific ideas of the look of the characters, but rather to have some idea of what energy this person has. Its very complicated to put that down on a list, so I try to imagine characters as if they were animals. So if Oskar was an animal, what animal would that be; I saw Oskar as a goat, very slow, strong, determined; and then I didn’t want a kid who would win your heart immediately. I wanted him to be a slow starter. He’s very beautiful but he has a strange appearance too; sort of an ugly duckling. Adaptation always entails cutting certain subplots; an interesting choice was keeping the eighties setting. ‘I thought it gave it distance – the stories are very fragile, if you put too much light on it it will crack. If you start asking yourself, why doesn’t the vampire break into a hospital and steal the blood instead of killing people, where are the police, and so on? I thought that if you tell this in a period setting it would give some space for the story. Today you have mobile telephones and faster communication, it would be a big problem for the vampires,’ Alfredson laughs.